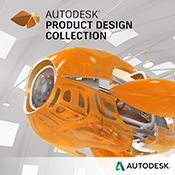 Autodesk Maya LT is a cost-effective 3D animation and modeling software that helps professional indie game makers realise the full creative potential of their games. Features in Maya LT are designed to make each step of the 3D creative process faster for experienced 3D artists and easier to learn for new users. Maya LT adds new brush-based sculpting tools, physically based ShaderFX nodes, updates to the Unfold3D UV tool integration, animation and modeling improvements, and an all-new UI that works on high-res displays. Using a 3D tool and working in an environment that shows 3D art as it appears in-game helps indie game makers work more efficiently and allows for better re-use of artistic content. With a proven set of 3D creative tools, artists are empowered to realise the full creative potential of their game design. 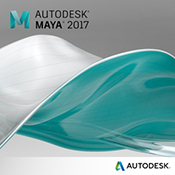 Specialised modeling and animation tools based on the award-winning Maya. Out-of-box support for Unity 3d Engine and Unreal Engine game engine. High quality viewport that displays assets as they appear in-game. Bake high-res to low-res texture maps (normal, displacement, and lighting). Create images for sprite sheets for 2D game pipelines. FBX file format support for primary data exchange. Import 3D asset formats: Maya (.ma, .mb), Maya LT (.mlt), .obj, .fbx, .ai, .eps. Export 3D assets in .fbx and .mlt formats. Import common texture formats: .bmp, .png, .dds, .exr, .tga, .tiff.